Arguments and conflicts are a part of any relationship, and it’s unrealistic to expect not to have them. That’s just what happens when you put two people together, who spend a lot of time interacting with each other, start caring about each other, and who grow to expect more and more from each other. But when you and your partner do nothing but fight, then maybe it’s about time you looked into the reasons behind your arguments a little closer to see what the root causes of those arguments are. The reasons for the arguments and fights different couples have are countless, and some of these can be more challenging to eliminate than others. Here, however, I would like to talk about one effective solution to many arguments in a relationship that are caused over and over by the same two silly words, and that can and should be easily avoided – stop using these words. As harmless as it may seem, using “always” in a conversation could spell trouble and make your statement sound like an accusation or a grudge rather than a one-time complaint or criticism. Throwing out this word can cause your partner to get either defensive or even offensive. In any event, this will lead to an argument or even a nasty fight. It’s important to think before you blurt “always” – does my partner actually always do this? Maybe to you, he “always” forget to lock the back door, or lift the toilet seat, but to him, that’s not “always” the case. It will be difficult for your partner to accept your accusation, especially if they don’t believe it to be true or if it’s clear that you exaggerate. And because they don’t believe it to be true, they will subconsciously feel the need to refute what you have just said, whether calmly – or more often with some degree of anger toward you. And so an argument or a fight is created …where an argument shouldn’t have happened. Take for example a normal, everyday conversation with your partner about mundane household chores. Let’s say you noticed your boyfriend’s socks lying around and you called him out on it. “Your socks are here again.” He will probably say something like, “Sorry about that,” will pick them up and that will be the end of it. At this point, you’d probably feel a little irked at the fact that your partner didn’t seem to grasp just how irritated you are, causing you to blurt out “You ALWAYS leave your socks here.” This would then cause the guy to pick up on that accusation and confront you on how wrong you are about that. Using the term “always” in this type of situation also suggests that the complaint you have, has been building up inside of you for a while and now you are ready to explode. How long have you been tolerating that which you refer to as “always” happening? How big of a deal is it to you? Regardless of the answers, using “always” is not going to help solve the problem or your conflict. Just like saying always, the word “never” also seems to often add fuel to the fire and make a normal conversation turn into a disastrous argument. You might feel like telling your boyfriend “You never take me anywhere nice” because you truly believe it, but what if he considers the places you have been going to, to be quite nice, and your saying this makes him feel like you are being an ungrateful b-tch? You are much better off saying “I wish we could go to some place really nice to celebrate a birthday / anniversary / graduation / promotion, if you don’t mind” without the use of “never”. Or you could remind him of this one time that you went to a place that you really liked that you consider to be nice and suggest going back there again. So, the next time you fell the urge to accuse your partner of anything and you are ready to use “always” or “never” ask yourself (1) whether what you say would actually be true; and (2) even if it’s true – is it worth saying this and is it really going to help you disagreement or will it make it worse. By John Alex Clark, A Relationship Coach & NLP Practitioner from Dublin Ireland. 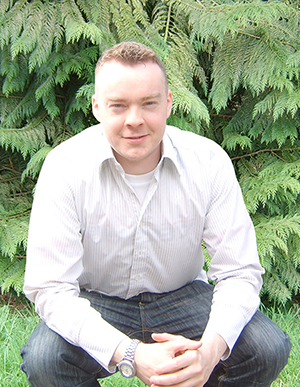 He is the founder of the relationship advice website www.RelationshipPsychology.com. His book THE LOVEMAP CODE is the first book to be released on the topic of Lovemaps since Dr. John Moneys (the man who coined the term Lovemap) death in 2006 and marks a major step forward in our understanding of this field.